Our younger athletes braved the cold, snowy and wet weather conditions in Meaford, at the MTA cross country championships hosted by the Georgian Bay Coyotes. 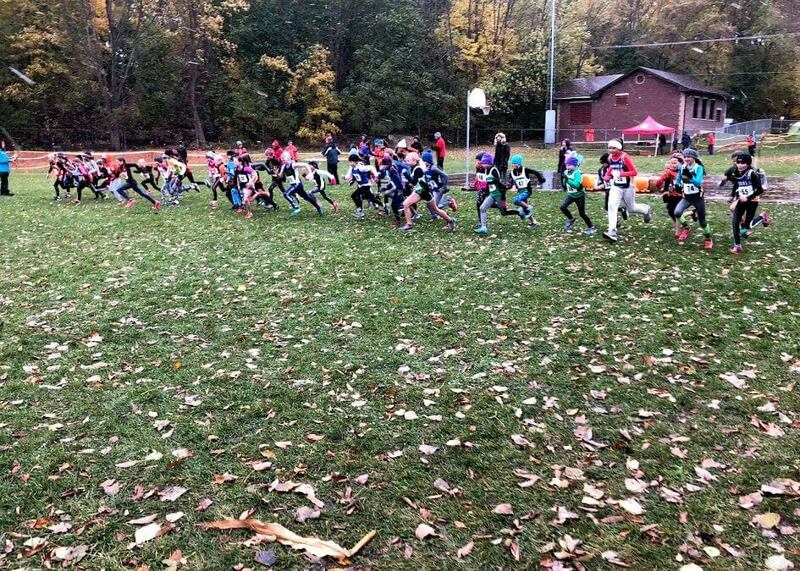 Over 350 athletes came together for the final race of the season at Georgian Bay Community School to settle provincial bragging rights. The Etrack team proved itself as one of the top teams, fighting fought through cold, snow, and sleet to take home 2 individual and 3 team medals. Congratulations to all of our athletes on a job well done.